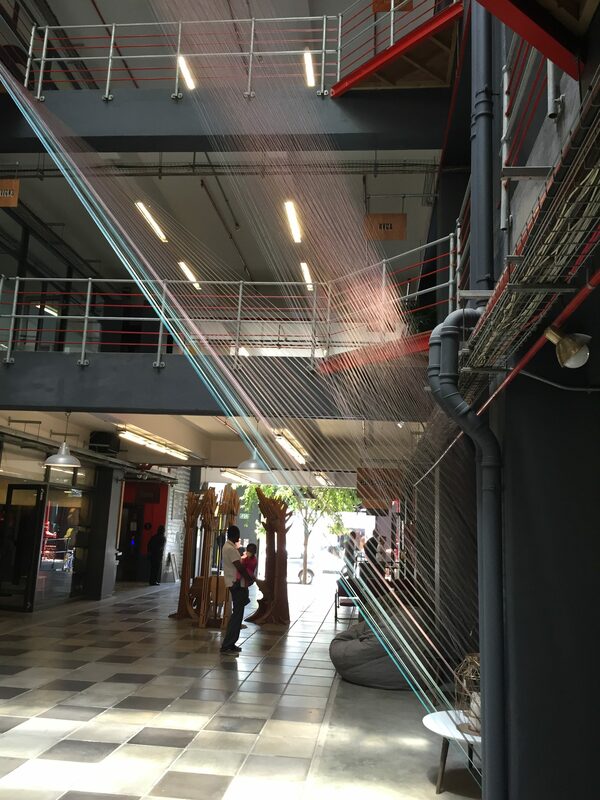 This taught string feature (see photo 1, left) in The Woodstock Exchange breaks up the space, diffuses the light and provides a textural and colour contrast to the black and red background. 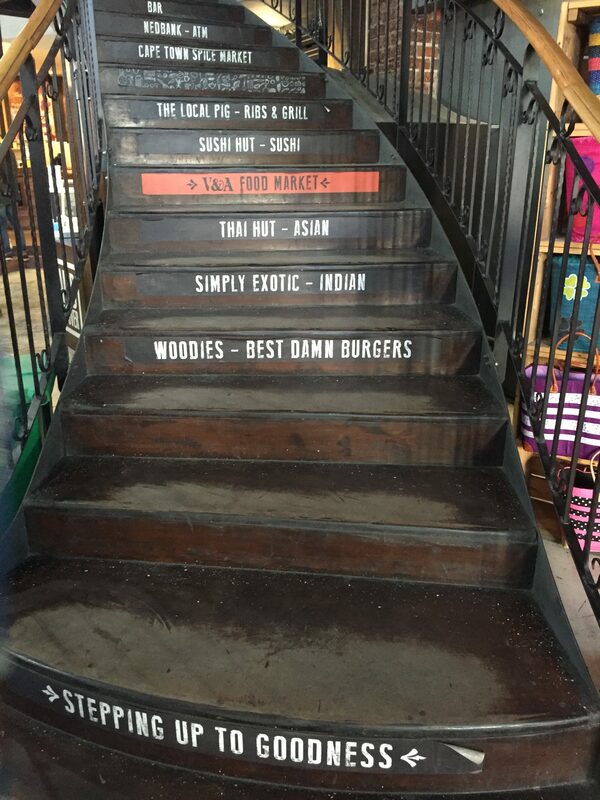 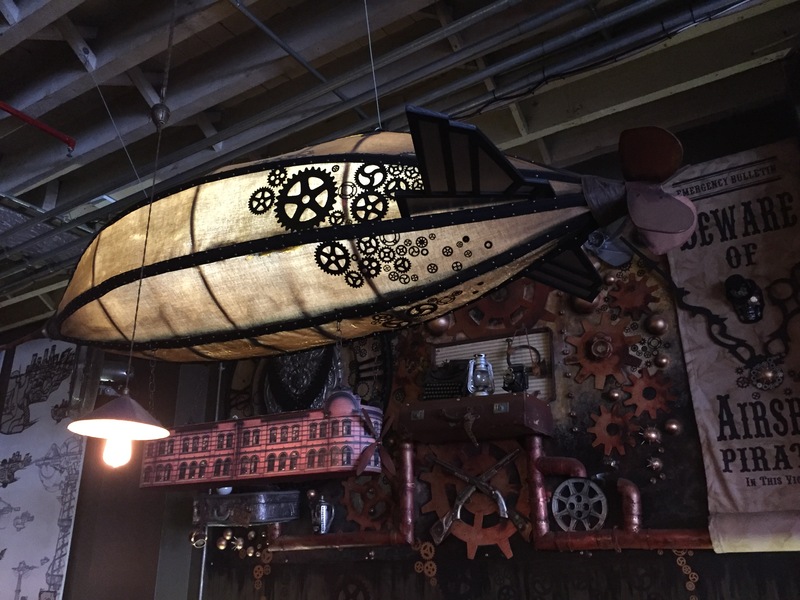 It’s also a pretty cost-effective way to add an eye-catching, temporary feature to a space. 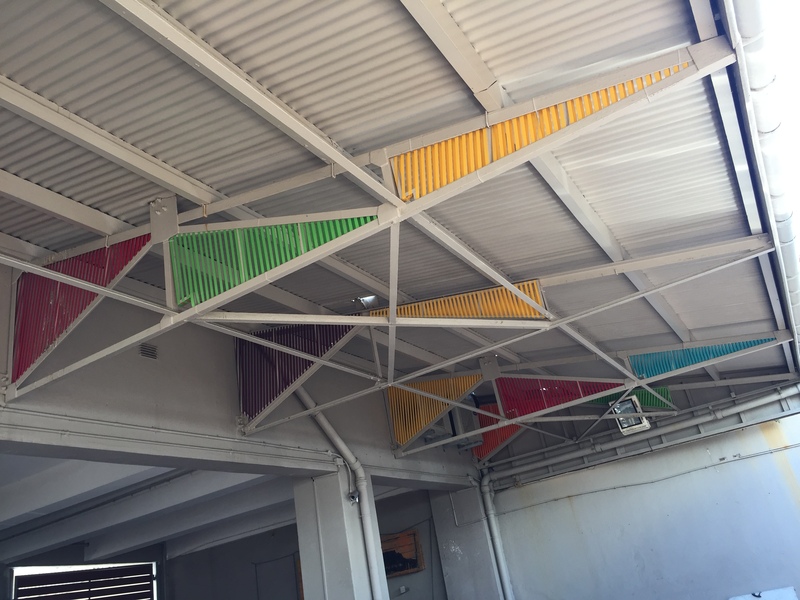 These coloured triangles (see photo 2, left) provide a simple way to cheer up an otherwise uninspiring roof space. 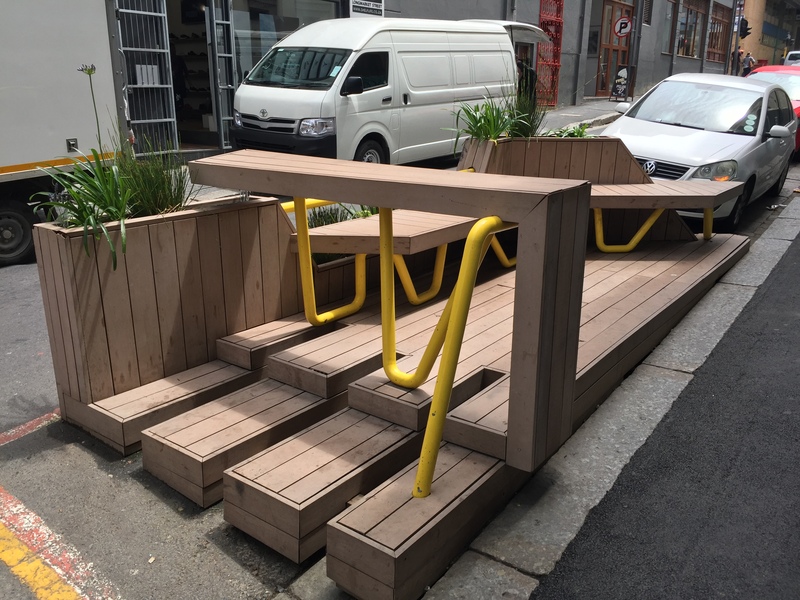 Photo 3 (left) represents a great way to utilise a parking space to add a touch of greenery and seating in an inner city sidewalk. 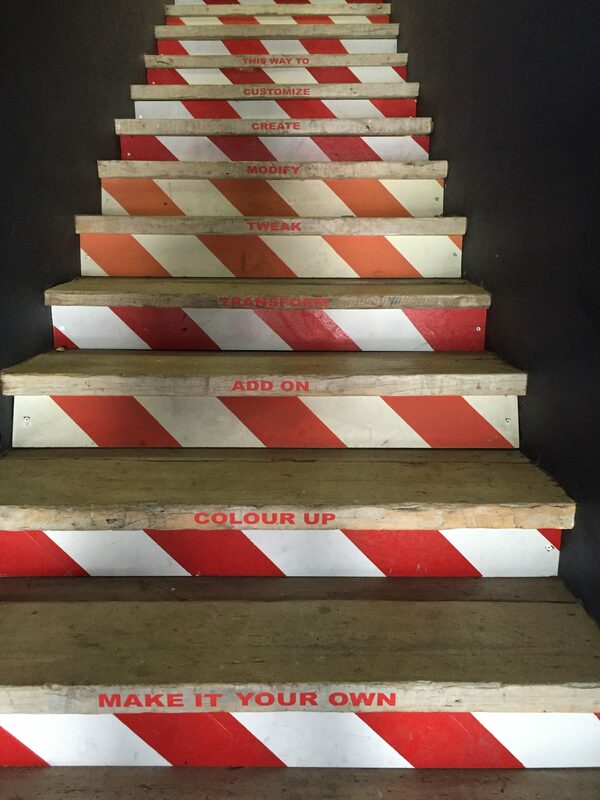 Photos 4 & 5 (left) are a lesson in working with the space you have: using steps as a wayfinding tool / unusual comms device. 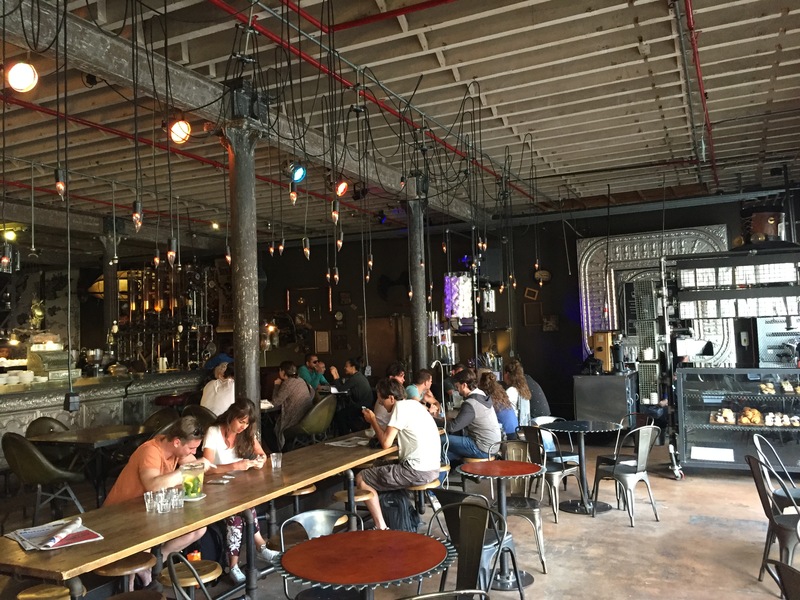 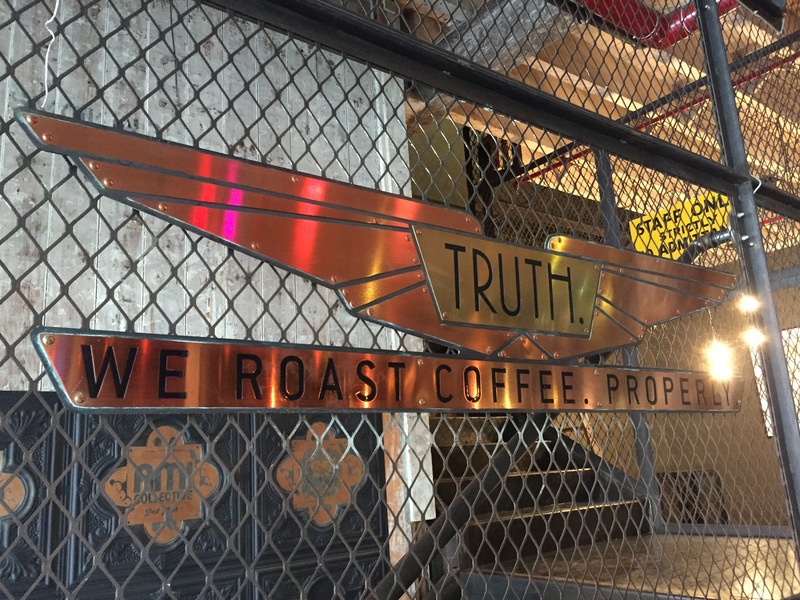 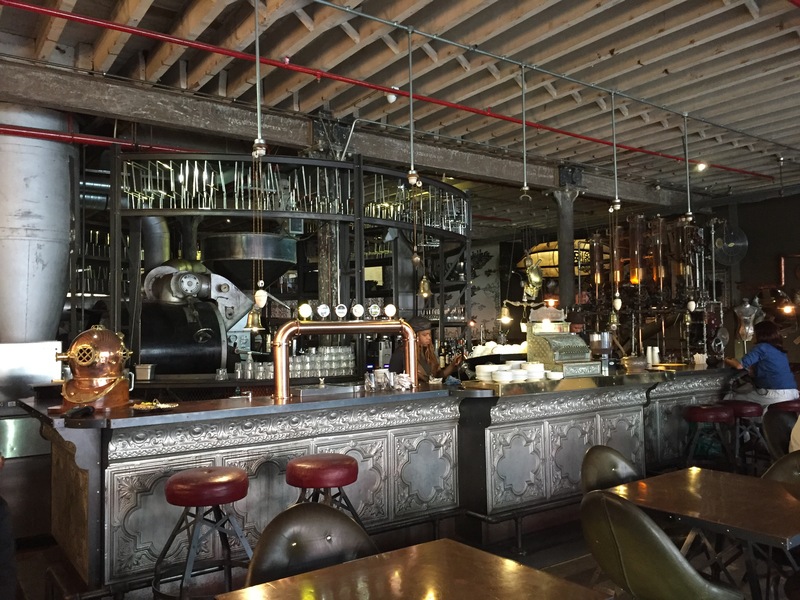 Photos 6 – 9 are from the coffee roaster and retailer Truth’s steampunk-inspired coffee bar in Cape Town. 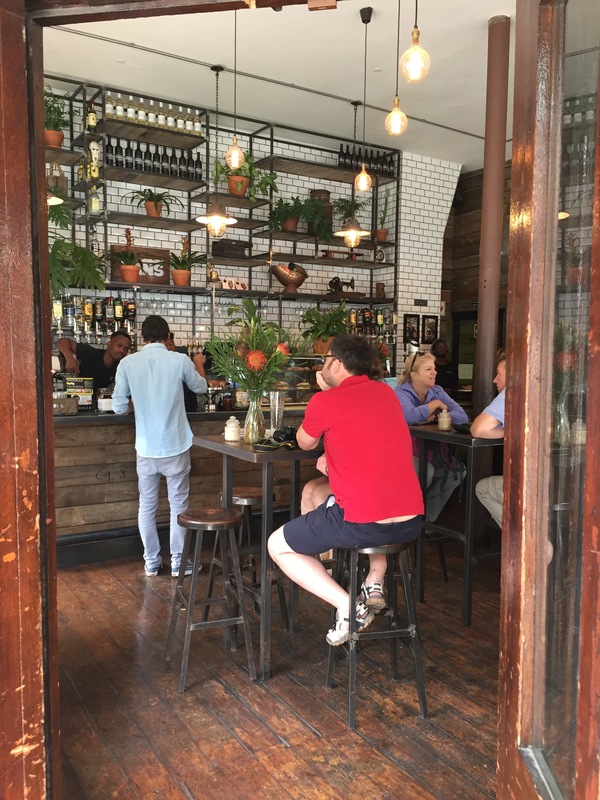 Photo 10 shows a plant wall in a Cape Town bar.